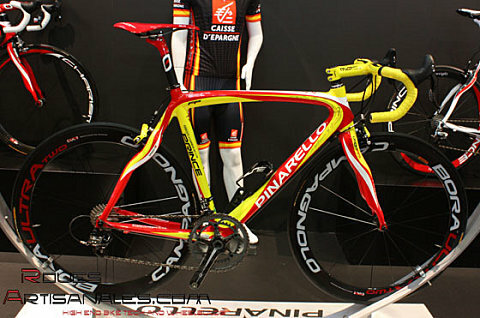 limits have been reached with the current standards and the manufacturers needed to evoluate in a different manner. 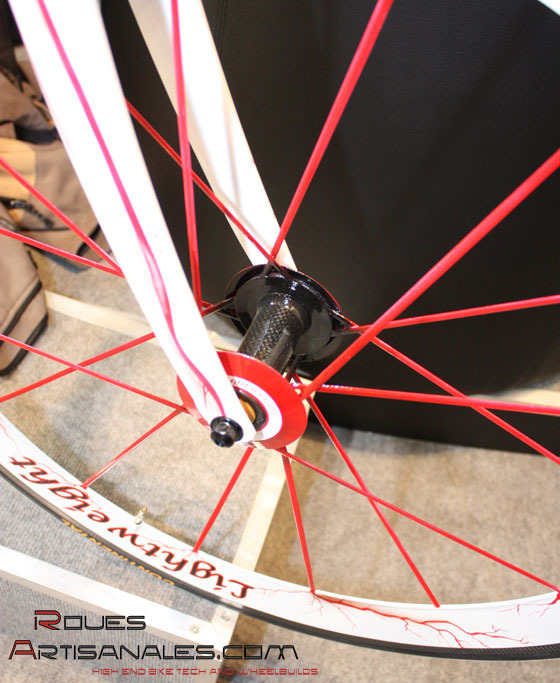 offer more colors, more custom components and that’s a very good thing. 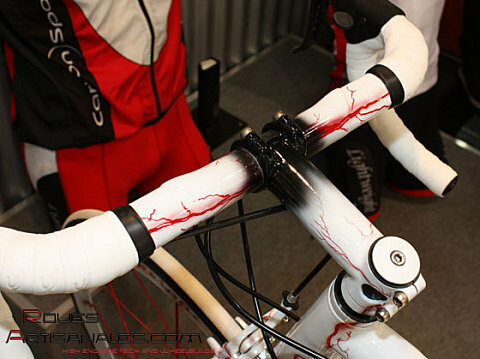 a blood system theme! 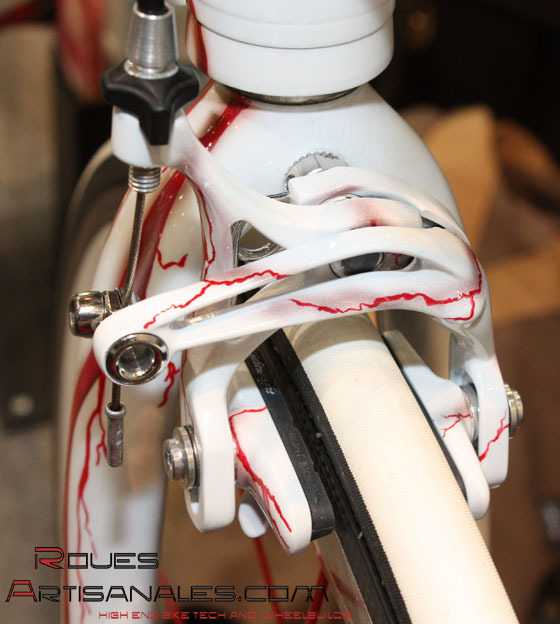 The crankset actually is the hearth of the bike, the veins are running on each part of the bike and even end up on the brake pad holders! 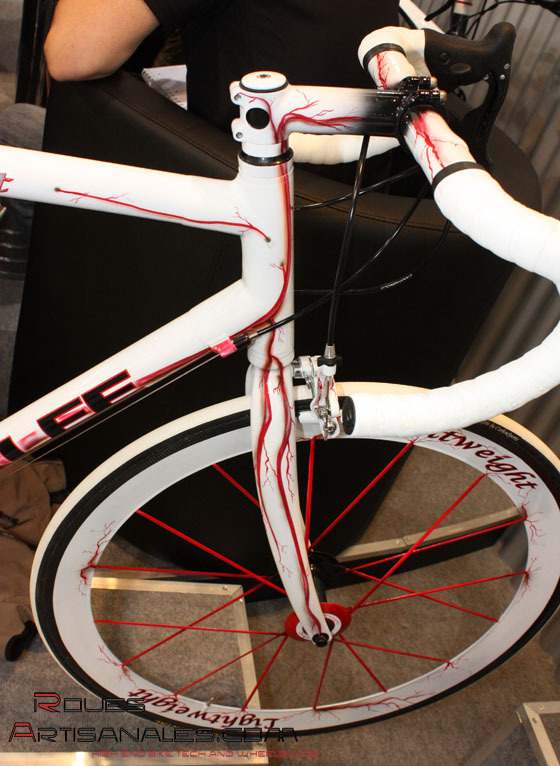 The amount of work involved here is phenomenal and Stefan could even not say how many hours were necessary by the airbrusher to make the whole bike. 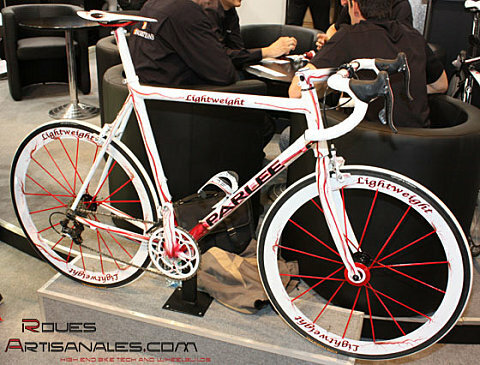 The bike is probably the one which required the most work. 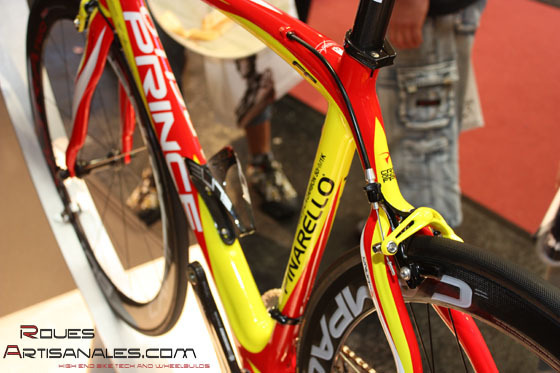 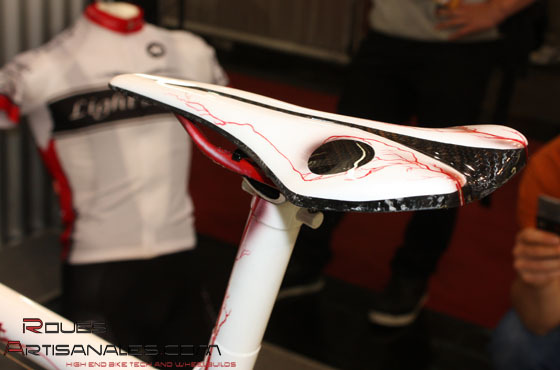 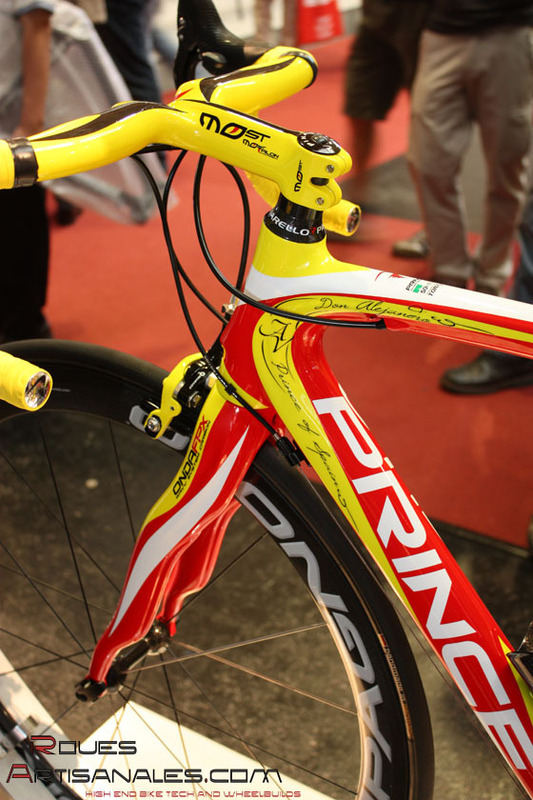 bar/stem combo, painted brakes, Alejandro’s signature, well matched colors, it was the nicest Pinarello of the booth.